So, living in North Carolina, and spending a month every summer in Ormond Beach, Florida while growing up, has me a little spoiled as far as beaches go. So, I felt a little guilty about my disappointment with Sanur. The water was a little clearer, the sand was a little whiter, the waves were a little gentler, but it just wasn’t different enough to be a wow. Poor me, right? 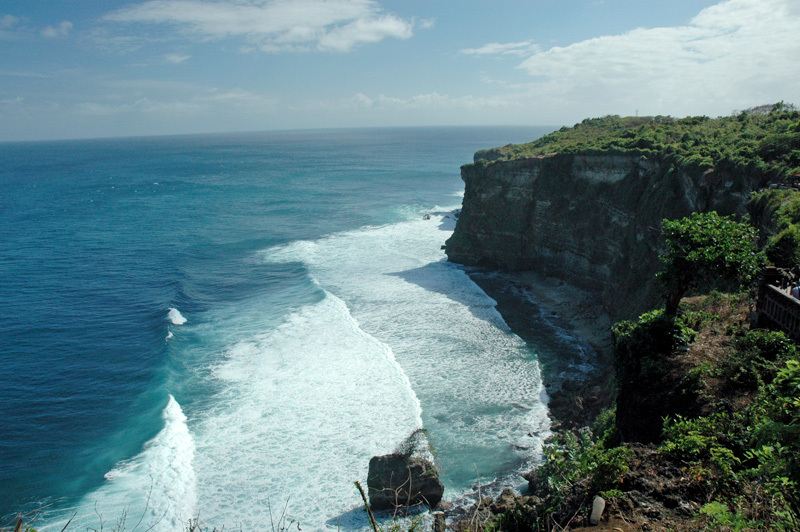 As an aside, I mentioned to our driver that I wanted to see some big surfer waves and the most beautiful beaches of Bali, but that I assumed we didn’t have enough time to get to such a location on our last full day in Bali. 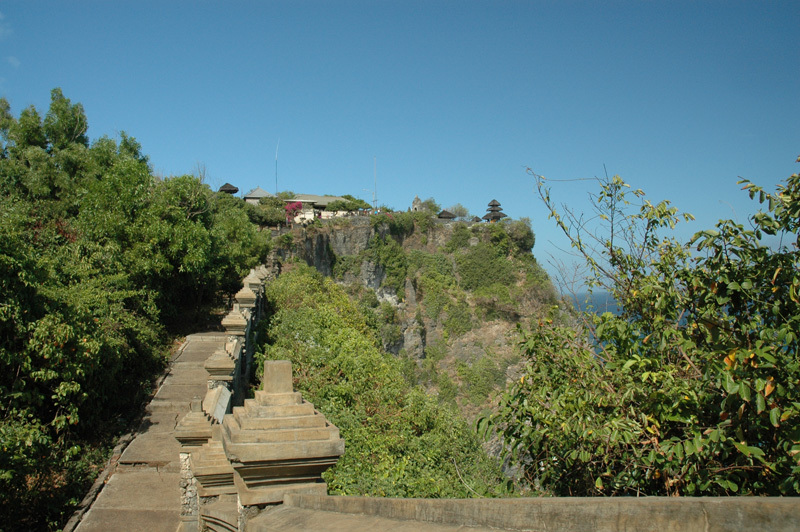 He thought differently, and suggested he take us to the temple at Uluwatu and afterwards to some of the beaches in that area. 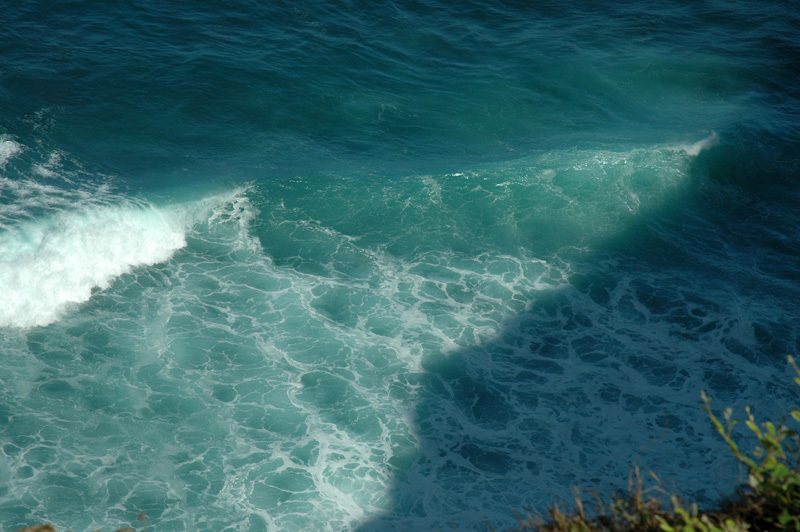 We would see cliffside ocean vistas, the temple on the cliff top, and big surf. 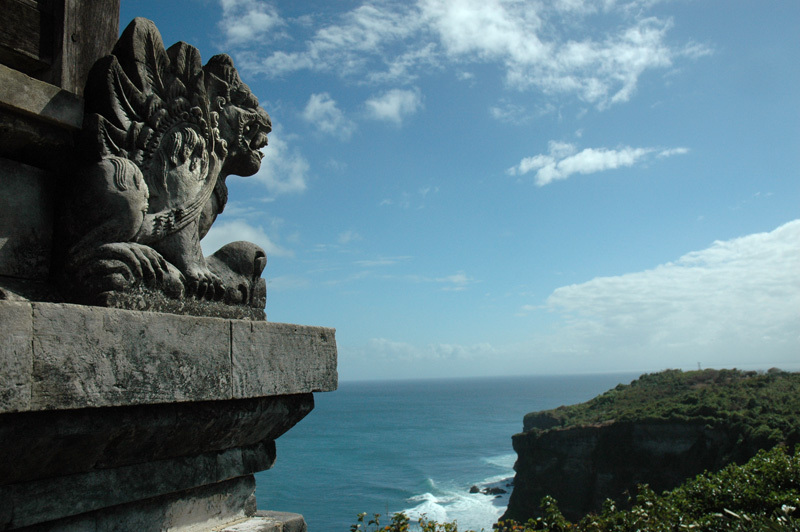 Uluwatu Temple view – tada! there are monkeys at the top…lots of them. They are all running around being cute, except they will steal your hat, your sunglasses, your food. they will not hesitate. 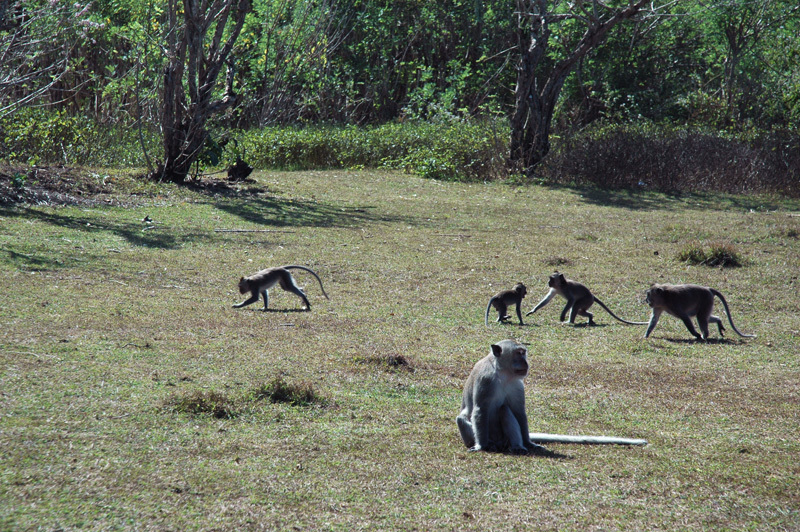 We saw one monkey steal some sunglasses and then put them on and sit and pose for photos…hilarious (unless they are your glasses). 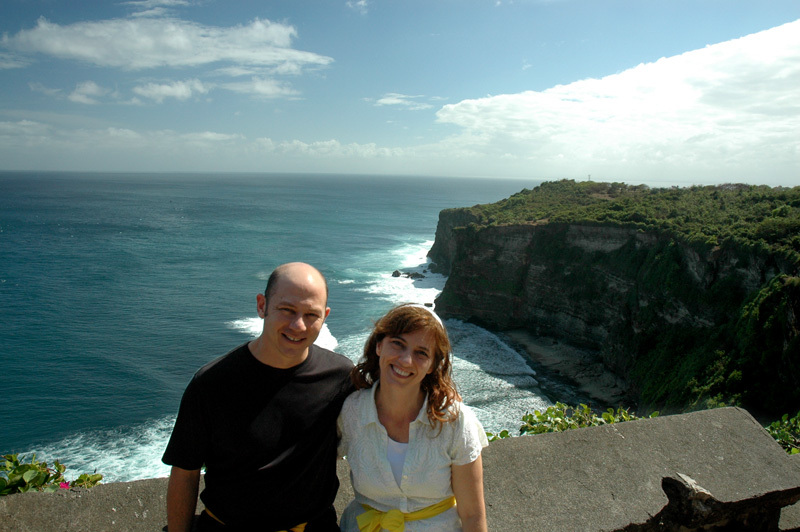 Here we are, enjoying the beauty of Uluwatu Temple. We were fortunate, and got to the temple before the masses showed up. 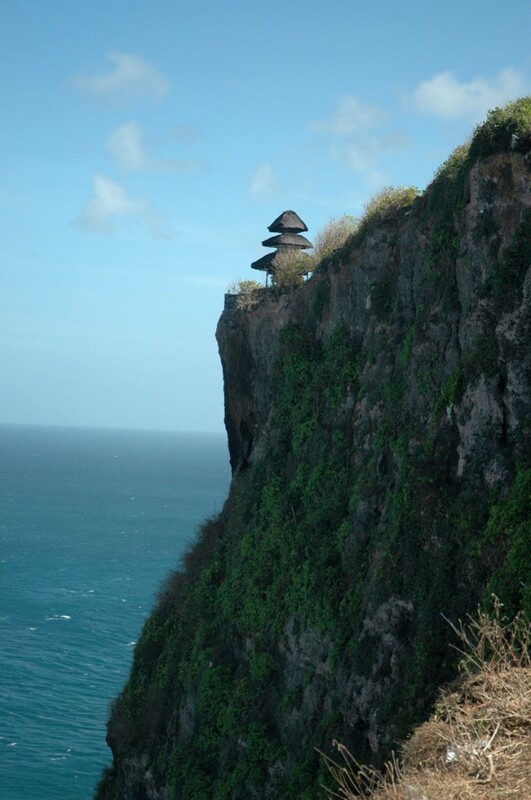 We had to share a little bit, but not too much… Can definitely see why a temple was put here…the absolute beauty of the natural surroundings is the perfect spiritual foundation. 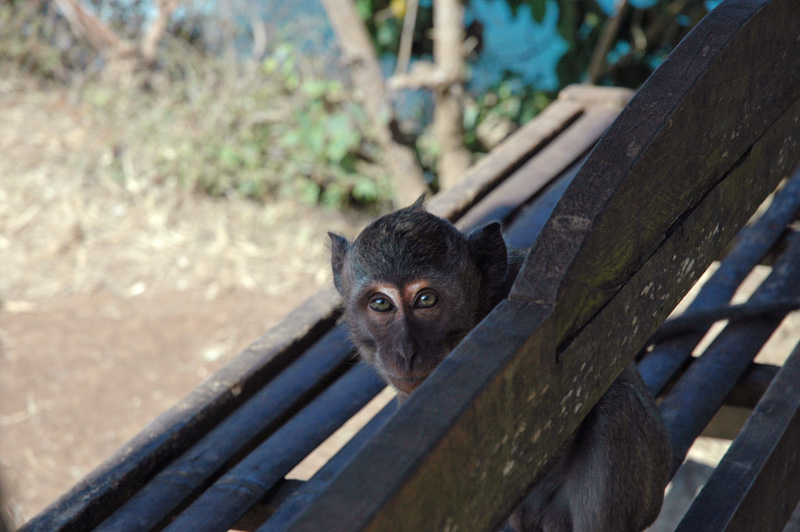 This entry was posted in Bali Indonesia and tagged monkeys, Uluwatu by beth. Bookmark the permalink.